Lunch at Saboten Japanese Cutlet Express and Teppan Kitchen at Aberdeen Centre food court in Richmond on October 2, 2012. Lunch in Richmond usually means a quick trip to Aberdeen Centre mall for some sort of Asian delicacies. 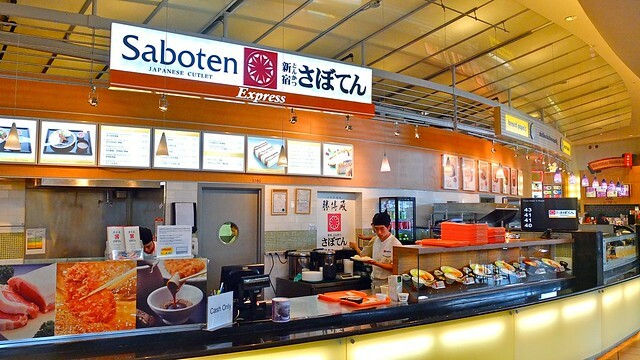 My go to is Saboten and their express pork cutlet eatery. 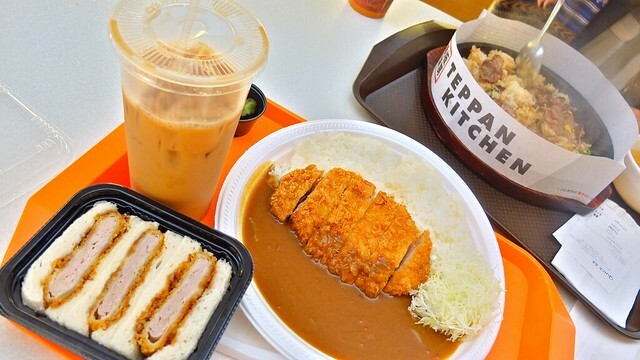 This time I went with the deep fried pork loin katsu curry plate and tenderloin katsu sandwich. I washed it down with a cold milk tea from Mambo Cafe (probably the best milk tea available at Aberdeen). 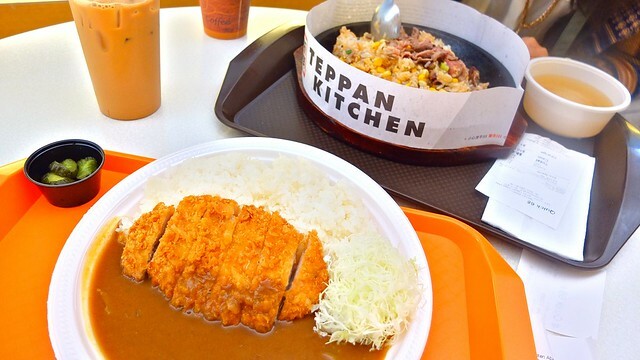 I love katsu curry dishes and mixing the curry, pork, and rice together. Saboten offers some pretty tasty and solid pork cutlet options, all of which are well prepared and tasty. 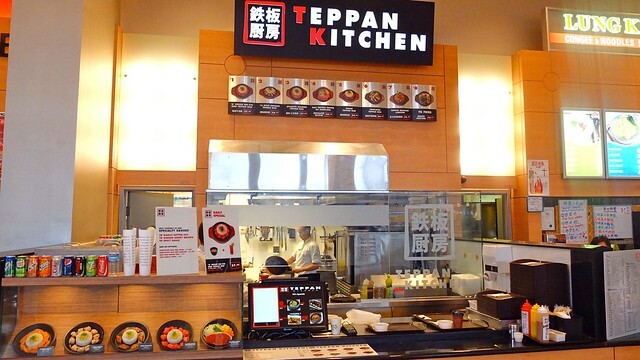 I had heard a lot about Teppan and their crazy sizzling rice and meat plates. The crazy presentation is worth ordering it alone. 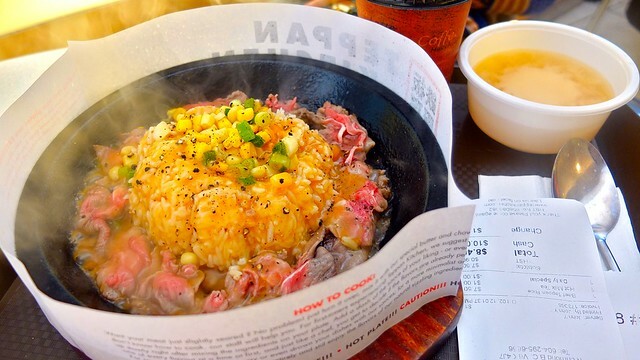 Janice's sizzling rib eye beef teppan rice was impressive in its look alone. Once things cooled off, it was a great rice dish full of beef and sauce with crispy burnt ends mixed in. 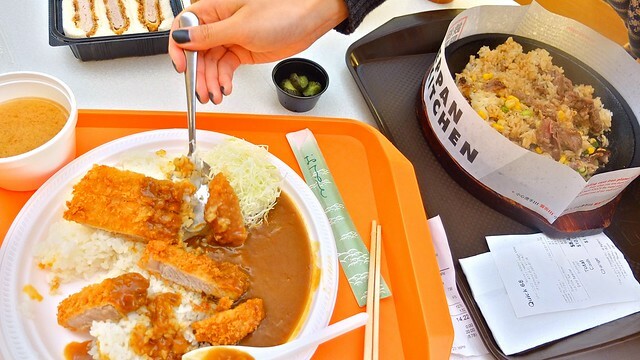 Aberdeen and its Asian mall food court is full of great lunch options of every kind. It can be overwhelming and a daunting challenge to choose. It's a smörgåsbord of foods and dishes. This is why I default to my pick of deep fried pork at Saboten. Definitely try out and choose for yourself.